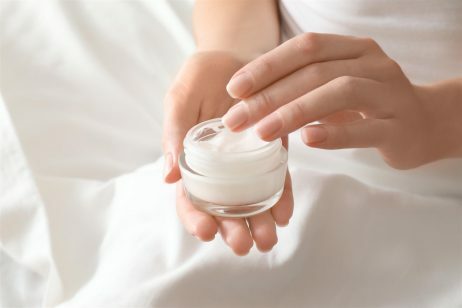 Butylparaben is a preservative that is used in the formulation of cosmetics and personal care products in order to extend the shelf-life by preventing microbial contamination. Butylparaben is an organic compound that naturally occurs in some fruit and vegetable products, such as barley, flax seed, and grapes. It is a member of the class of compounds known as parabens. Other common parabens include methylparaben, ethylparaben, and propylparaben. Parabens are found in plants in the form of p-hydroxybenzoic acid (PHBA), a chemical that breaks down to become parabens in order to protect the plant. In fact, the parabens used in cosmetics are identical to those found in nature. If parabens are absorbed through the skin, the human body can quickly metabolize them to PHBA and eliminate them. At one time, parabens were the most widely used group of preservatives in cosmetic products. Parabens were so popular because of their gentle, non-sensitizing, and highly effective profile in comparison to other preservatives. However, the use of parabens is now controversial due to their alleged relation to health concerns, which we will discuss below. Butylparaben functions as a preservative in cosmetics and personal care products. In most formulations, parabens are used at very low levels ranging from 0.01 to 0.3%. The use of preservatives is necessary to prevent microbial contamination, as well as to prevent degradation by environmental factors such as heat, light, and air. 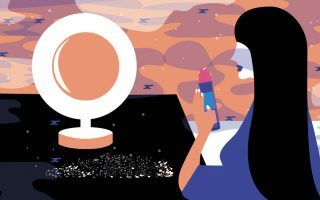 Cosmetics have a high potential for microbial contamination and growth. The most susceptible products are creams and lotions that are packaged in jars, opened frequently, and applied to the skin with the fingers. Inadvertent contamination may also occur after the use of makeup brushes around the eyes or other parts of the face that touch the skin and the cosmetic repeatedly. Each use increases the chance for contamination. Furthermore, contamination may occur if the consumer leaves a product container open for an extended period of time. Another major cause of product contamination is storage conditions. Since the majority of products are stored at room temperature, the warm temperature can stimulate the growth of microorganisms. Plus, the ingredients used in cosmetic formulations, such as water, oils, peptides, and carbohydrates, create the perfect environment for microorganism growth. Microbial contamination can lead to significant health problems, from skin irritation to infections. To avoid these problems, a strong yet non-irritating preservative must be added to the formulation of a product. Butylparaben fits boths of these criteria. Over the past 10 years, parabens have become criticized for use in cosmetics due to research that has revealed their potential relation to health concerns. However, the research on parabens is conflicting and polarizing. Other research indicates that parabens are safe as used in cosmetics and preferred since they are gentle, non-sensitizing, and highly effective. Furthermore, these studies have demonstrated that parabens did not have any effect when compared to natural hormones in the body. In fact, parabens were found to be beneficial due to their ability to deter the growth of mold, fungi, and other harmful pathogens. Overall, the cosmetics industry has determined that the low levels of parabens used in cosmetic products are safe. The FDA finds that while parabens can mimic estrogen, the actual effects of this low level of activity on the body do not cause cancer in a higher incidence than naturally occurring estrogen.